Time flies, especially when you’re learning something new. In the case of the ecology module it was more likely to be mosquitoes or bees than flies, but either way we’re all a little shocked that we’re a fifth of the way through the course. 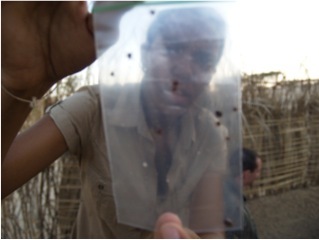 Two weeks in the Turkana Basin gone in a flurry of insect collection and seed counting. 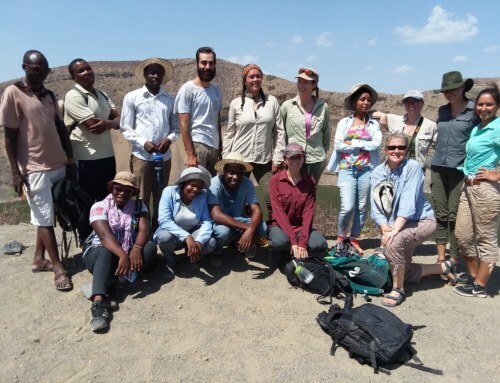 The class, led by Dr. Dino Martins, covered the full range of ecological questions from the massive, nearly extinct white rhinos by Lake Nakuru to the miniscule malaria vector, the Anopheles mosquito, found all over the world. 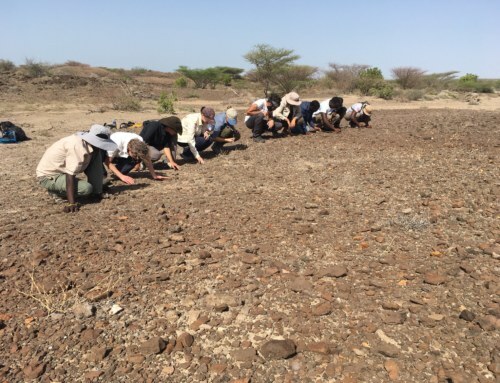 The week ended with an exam on Turkana Basin ecology (the class managed the best grades ever recorded for the exam) and presentations of their independent research projects. 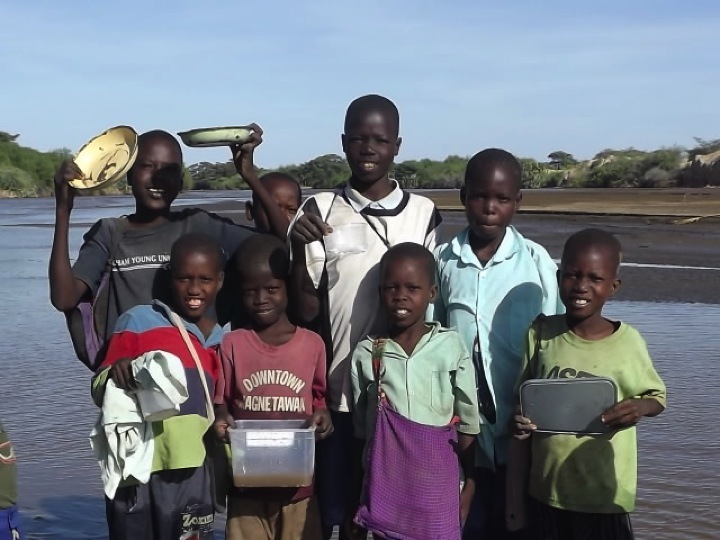 Where an ecology course back in the States might require a synoptic paper or a manuscript critique, ready access to the complicated, and largely unknown Turkana ecosystem provided fodder for individualized questions that were broken down into three areas: Vegetation, Vectors, and Freshwater Systems. 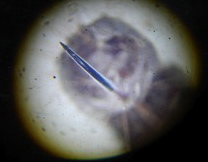 Because each student worked on novel research, here’s a quick run-down of what they found in their time roving the compound, staring through microscopes, splashing through the river, and roasting in the sun. All in the name of science. Bailey and John teamed up to study the scorpions that share TBI with us. The stinging arachnids, members of the genus Parabuthus, are nocturnal which would normally make studying their preferences for different vegetation and proximity to man-made structures tough to scrutinize. However, the stinging arthropods glow neon yellow under ultraviolet light. Each night, John and Bailey walked different portions of the compound, waiting for a brush pile to glow. They recorded the size, habitat, and distance from buildings (the last calculated using a GPS and Google Earth) and reported no significant correlation between the size of the animal and its tendency to hide in Indigofera shrubs, or under Acacia trees. 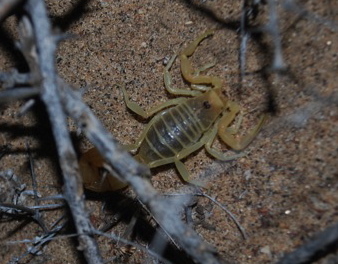 Fortunately for all of us, the scorpions were not found wandering in the open. As long as we’re not kicking through shrubs at night, our toes are safe from a pinch and a sting. 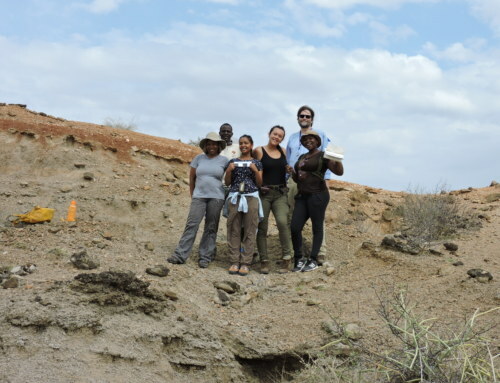 Eve, Cory, and Francis used the natural experiment set in motion when the TBI fence was put around the compound two years ago to study the affects of grazing on the plants of the Turkana Basin. Plants within the TBI fence have been free of grazing pressures from goats and camels since 2010. 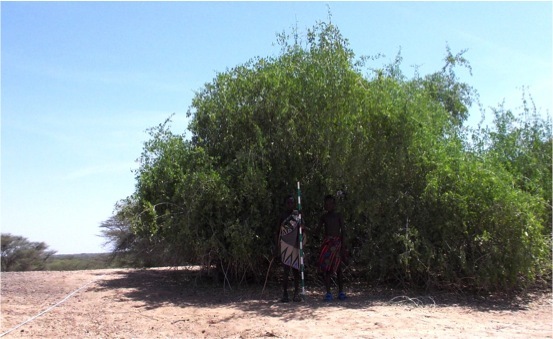 Eve found the seed pods on the most common grazing shrub, Indigofera, tended to have a greater variability in weight outside of the compound, perhaps reflecting their dependence on goat dispersal. She also found the plants outside the compound tended to be squatter and woodier than the more gracile, delicate plants inside that don’t need to battle with the goats. Cory also looked at the Indigofera, considering height and seed pod counts as proxies for productivity and health in the face of the goat onslaught. She wanted to start laying the groundwork for a new interpretation of the carrying capacity of the Turkana rangeland by evaluating the actual health of the goats and the sizes of the herds. She talked to Francis, an employee of TBI and the field school’s Turkana guide, about the sizes of the herds and changes to the range in the last few decades. Eve and Cory count seed pods outside the compound early on in our module as Rob and several curious Turkana try to figure out what the study means. Cory got a few extra hands (Ashley, Tim, and John) to help weigh Tom, our patient camp dog, for comparison to goat mass. Francis considered the diversity of plants inside and outside the compound by using the transect diversity data collected by the class inside TBI, then going out to the more stressed environment outside the compound. He found more varieties of plants inside the fence, though the plants were more plentiful, if much smaller, outside the fence. 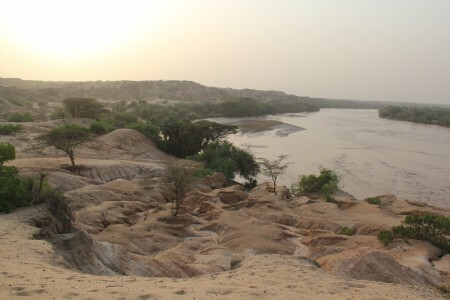 One of the Turkana goat herds makes trek between the river and their boma. Along the way the goats will chow down on a wide variety of plants. Finally, Marcel turned his gaze a little higher than the Indigofera by considering the diversity and health of the acacia trees and doum palms on the landscape. He found trees tended to be taller on topographically complicated landscapes and shorter on the flat landscape, perhaps reflecting browsing pressures from camels or the greater density of trees on the flat landscape. The next research group focused on the less-savory neighbors we interact with at TBI: Insect disease vectors, especially mosquitoes and ticks. Mosquitoes can carry a variety of diseases, including yellow fever, but of highest concern are the Anopheles mosquitoes that are host the microscopic Plasmodium parasite that causes malaria. The disease is treatable and preventable, but it is devastating Sub-Saharan Africa. 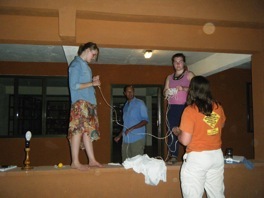 The prevalence of the mosquitoes that spread the disease have never been intensely studied in the Turkana Basin, so Tim, Leanna, Natalie, and Maegan teamed up to consider the proximity of the insects to buildings, how weather affected mosquito activity, mosquito activity at different times of night, and the abundance of mosquitoes at different points around the compound. Tim found mosquitoes were significantly more common near buildings, while Leanna found they were less abundant at high temperatures. So, we’re safe during the day and perhaps on very warm evenings, one silver lining to some pretty toasty nights. 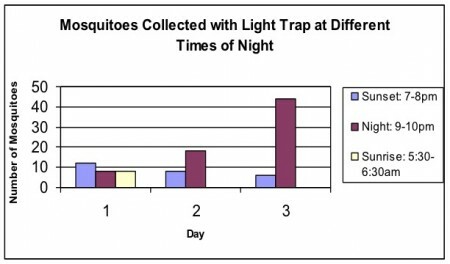 Natalie found the infected pests tend to be most active in the middle of the night, providing further evidence for the effectiveness of mosquito nets over our cots. And finally, Maegan found the mosquitoes tended to concentrate themselves near the buildings most commonly occupied by people at night, namely the dorms and cottages, demonstrating they do seem to seek out the next host for Plasmodium rather than randomly sweeping the landscape. 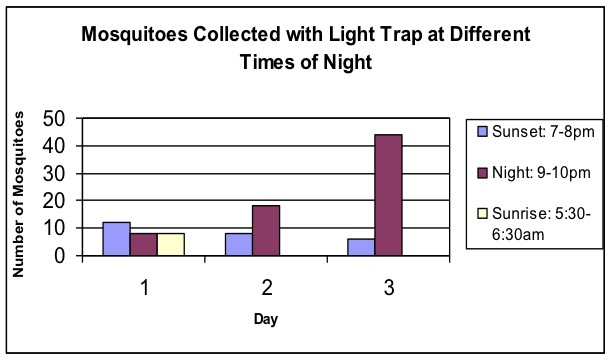 Natalie's data on peak mosquito activity times. Note what time she needed to wake up to collect her data. That's dedication. Ingrid and Ana turned to ticks, disease vectors that spread East Coast Fever to livestock. 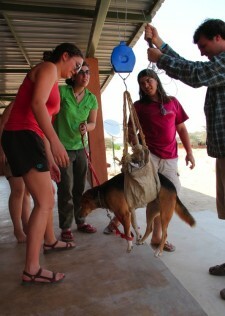 Ingrid walked transects inside and outside the compound with Tom, the camp dog, and herself as tantalizing tick bait. She didn’t find any ticks outside the compound, but found several inside. 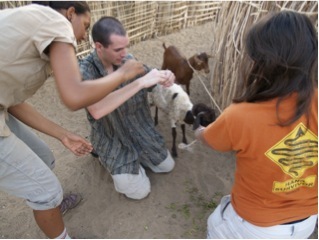 Interpretations of the data include the fact that many of the ticks she might have found outside had already found goat hosts, as Ana found when she went to a Turkana boma to collect ticks from several goats. Ana took the tiny arachnids and performed a “cafeteria experiment,” offering ticks the option between human scented cloths and Indigofera. While the ticks were a little unruly to work with, she did find the smaller ticks went towards the Indigofera, perhaps as a strategy for the hungry parasites as they prepare to wait for weeks, months, or even years on the tips of the plants for a host to brush by the shrub. The final research group focused on the fragile freshwater ecosystem of the Turkewel River and TBI’s experiments in aquaculture. On the edge of the TBI compound, Acacia Leakey has set up three small ponds and stocked them with tilapia from the Turkwel River. 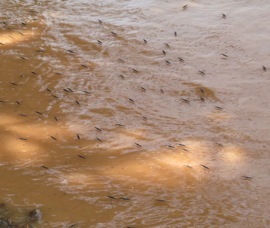 The fish are herbivorous, capable of subsisting on the algae that blooms in the still water. Sam initiated a research project on the abundance of green and brown algae in the ponds. She dissected some of the fish and found they were eating the abundant green algea. Now we just need to find a way to stock enough algae to make the system sustainable and productive without adding fish food. 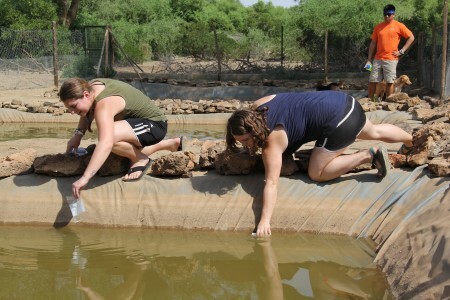 Sam and Rosie scoop algae from one of the TBI fish ponds. 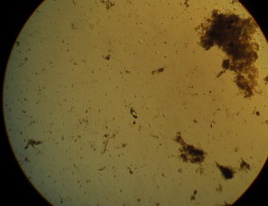 Sam examined the algae under a powerful microscope to account for the diversity of the microscopic staple of the aquatic ecosystem. Rosie was also interested in the fish from the Turkwel River. At home in Alaska she counts salmon abundance as the fish take their seasonal swim upriver. She tried applying the same techniques to the Turkwel’s fish population. Unfortunately, the stock wasn’t quite as robust at Alaska’s and she was only able to snare a few minnows, suggesting reliance on fishing for is not the path to economic recovery for the Turkana along the Turkwel. Ashley focused on the abundance of micororganisms in the TBI ponds to assess the health and diversity of the microfauna associated with each pool. She didn’t find a huge diversity of creatures, but did discover the pond with a little shade and the greatest depth harbored the most diverse collection of organisms. 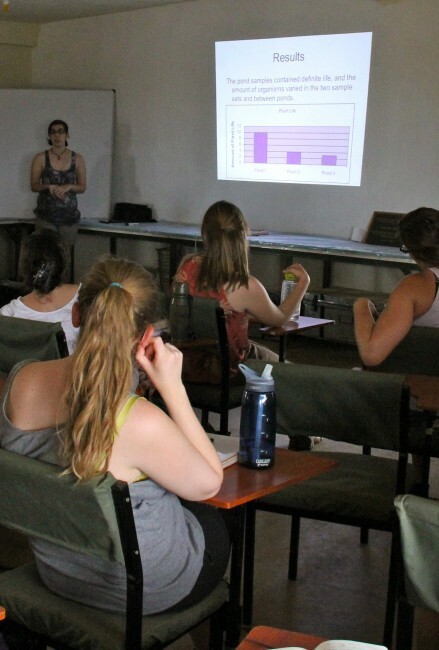 Ashley presents the results of her research at annual Field School Ecology Colloquium. 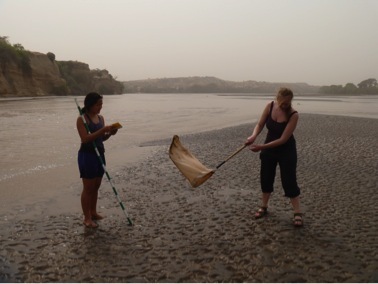 Holly and Meg spent time walking the Turkwel River in search of water crickets, Gryllus tridactylus, a species that functions as an indicator of freshwater ecosystem health through cycles of population boom and bust that in turn affect the diversity of river predators. Meg found the insects were most abundant in the early evening and didn’t seem to have a preference for differing speeds of water. Holly found the animals were most likely to prefer slightly squishy mud substrates and suggested they may serve as an alternative source of food for the TBI fish ponds. Finally, Rachel and Aaron spent time walking the river in search total insect abundance. 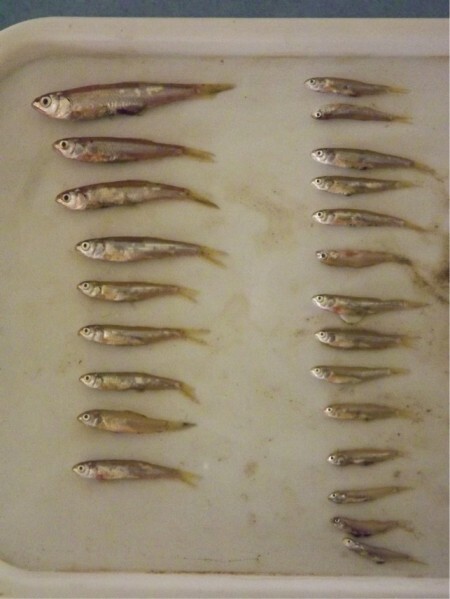 Rachel found that water depth didn’t seem to have much of an effect on total insect diversity. 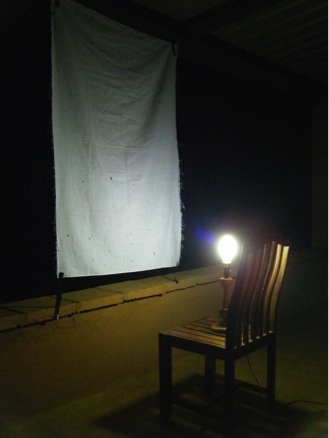 Aaron found that abundance seemed to be more tightly correlated with vegetation cover with the greatest diversity of insects found in the dense shade of the doum palm, a hydrophilic palm that crowds the bank of the Turkwel, providing shade for insect populations, and spiny annoyances to field school feet. It was a long, but very informative day as we plowed through everyone’s experiments and conclusions. 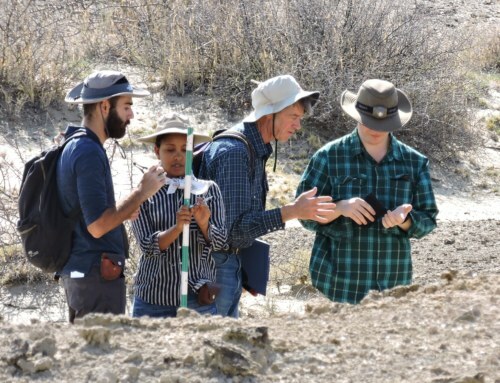 Ideally, future TBI students pick up some of these projects and continue the data collection, creating a vast archive of information on Turkana Basin vegetation, disease vectors, and freshwater dynamics. But now it’s time for the field school students to shift their gaze from the green and crawling to the brown and rocky. 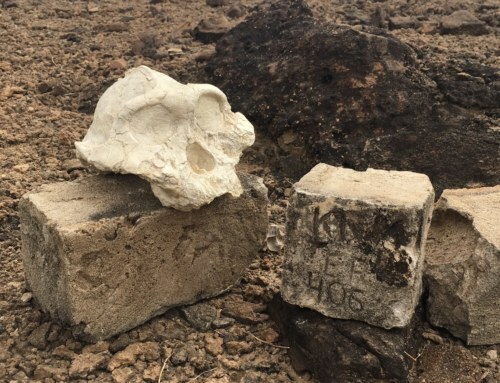 It’s time to get to the foundations of paleontological and archaeological inquiry and start learning about geology with Dr. Craig Feibel! Now we're shifting our gaze and our timescale.